If you want to be the house that everybody wants to hang out at, you’re going to have to invest some time and money to make your space comfortable and cool. 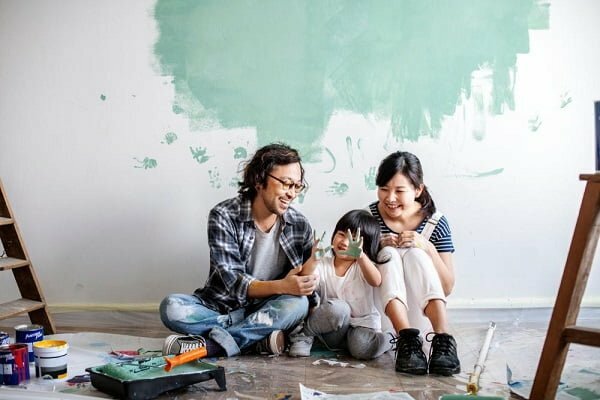 But before you dump out your entire life savings to build out a custom bar or indoor trampoline park in your living room, consider some frugal, DIY projects. With projects you take on yourself, you not only do you save money but you also become more invested in the house itself. Plus, if impressing people is important to you, saying, “I built that chair myself,” sounds a whole lot cooler than, “I got that chair at Ikea”. Keep reading for ideas to revamp your kitchen, your nursery, and your bathroom. Your kitchen is one of the most important parts of your home because it centers around food – and as we all know, there are few things better than an amazing home-cooked meal. So, if your kitchen is lacking and discourages you and your family from spending time there, look into some easy and cheap ways to update it. Buy new handles and drawer pulls: It’s an incredibly simple way to change the look of your cabinets without investing in completely new cabinetry. Paint your cabinets: If you have dark wood cabinets, for example, considering adding a bright white coat of paint to them for a completely fun, new look. Get glass-panels: Need to open up your kitchen? Get some glass panes for your cabinet doors to help visually open your kitchen a bit more. Invest in new small appliances: We get it, you can’t necessarily afford a 1950’s style oven to match your retro-chic dreams. However, you can choose some well-priced smaller accessories and treat them like functional decorations. Upgrade the face of your appliances: There are plenty of companies that make decorative skins for appliances like your fridge or dishwasher. Add one of these overlays for a fun, decorative twist to your kitchen. One thing you’re not going to want to skimp on is your bassinet crib. After all, it’s where your little bundle of joy will be spending quite a bit of time. With decor, you can get more frugal as long as it’s childproof and safe, of course. Nightlights: You don’t want to be stumbling into your baby’s room and fumbling for the light during those nighttime feedings, so get a few nightlights (or make your own) to create some ambient, cute lighting that also serves a function. DIY decorations: Make your own mobile, create your own initialed art for your baby’s name, and get crafty with the sewing machine. It’s time to let your inner artist out! 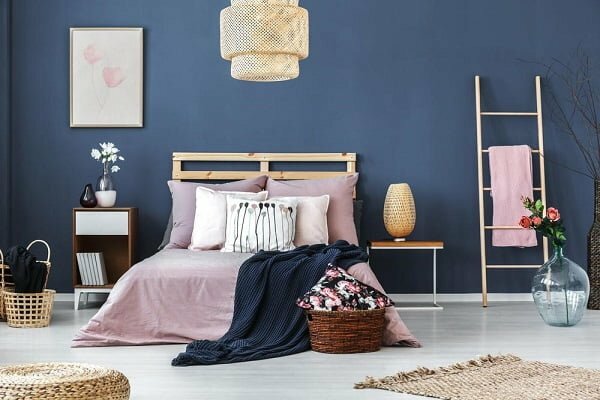 Paint: If you want the nursery to easily transition into a toddler’s dream bedroom when your son or daughter gets older, choose a paint hue that can work for multiple phases of your child’s growth. For example, neutral colors like gray and green work beautifully. Your bedroom should be relaxing and cozy but if it’s not, don’t worry – we have plenty of projects you can take on to make it a dream. Add an accent wall: If repainting your entire bedroom is out of the question, paint an accent wall. Choose a bright, fun color but make sure to do a patch test before committing. Add some plants: Plants help to make your bedroom a more cheerful, happy place. Go for plants that do well indoors, of course. And if you don’t have a green thumb? Get a high-quality faux-plant instead. Nobody will be the wiser. Get a new duvet: If you’re tired of looking at your weird, patterned comforter, get a duvet cover instead. It’s easier to change out once you get bored of it and gives your entire bedroom a little facelift. Hang a tapestry: Barred from painting at all? Hang a big tapestry as a stand-in for an interesting accent wall. Redoing rooms in your house doesn’t mean you have to empty out your entire bank account. Instead, you can use a little elbow grease and save a ton of money. But most importantly, you’ll come back to a house that feels like a home.